The Islands of Greece have clear blue waters, golden beach sands, and good sunlight. Greek Islands are divided into Cyclades, Ionian, Dodecanese, Crete and Saronic Gulf Islands. If you want a remarkable time of your life, visit any of the beautiful islands in Greece. If you have time, you can visit many of them. However, these visits will set you back on a few bucks but they are very worth it. 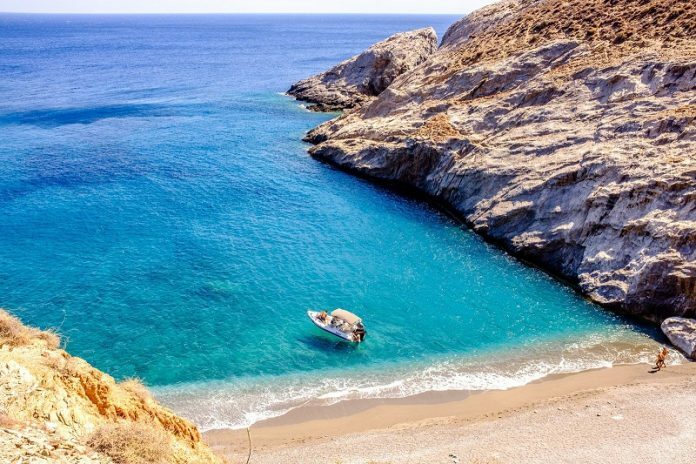 These are the list of the least to most expensive Islands in Greece. Folegandros is an island located along the Aegean Sea, it is part of the Cyclades Island. It has a beach, Katergo which is visited by naturists. It also has another beach; Karavostasis which can be accessed by boat or on foot. Click the next ARROW to see the next island!